1. In a small bowl, whisk together olive oil, garlic, Dijon, vinegar, lemon juice, oregano, sugar, salt and pepper. Pour 2-3 tbsp on salad and toss to coat. Reserve the rest for a later date. *A store bought Greek salad dressing can be substituted if desired. 1. In a large bowl, combine lettuce, parsley, cucumber, peppers, tomatoes, olives, onion, feta and toss gently. 2. 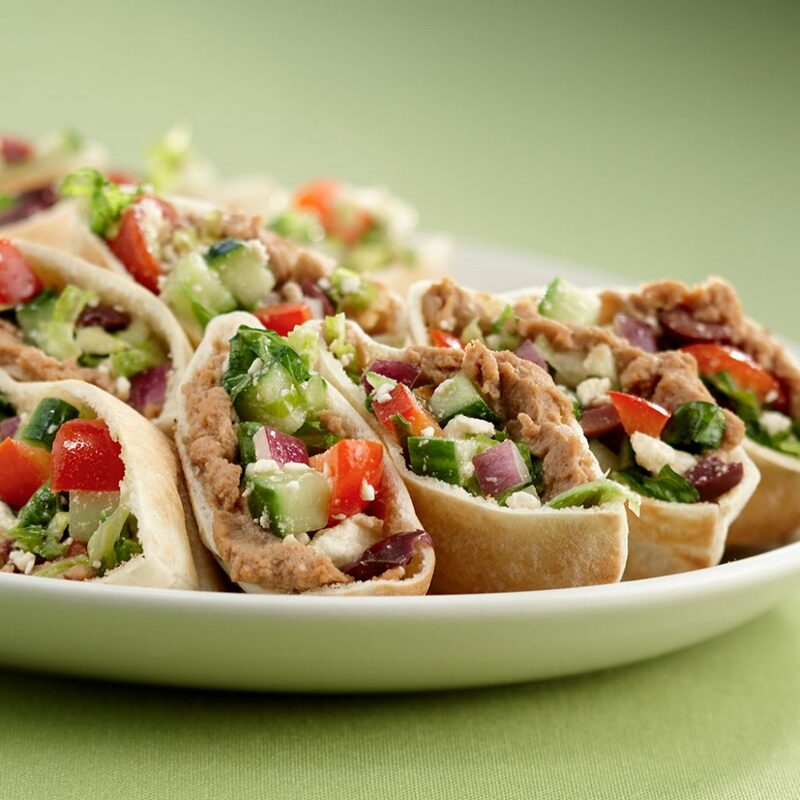 Spread some Paris Pâté in each pita half and fill with salad. Serve at room temperature.